It doesn’t seem that long ago that the 30 second TV advertisement was all the rage. Although sometimes difficult to measure results, TV advertising still forms a significant part of the media mix for big brands. As Web 2.0 technologies developed, and audiences fragmented, the new form of targeted social and digital advertising took over. It was easier to measure the impact of these media as the technology helped us understand the amount of people who viewed or interacted with the adverts. However despite this, it was not until the advert was released that the results could be gained. Now technology has taken another leap and given us the ability to measure the impact that our advertisements could have, before they are launched. Through the use of highly sophisticated cameras (and probably a lot of complicated maths), this new form of technology can analyse the audiences facial features to determine the emotional response to an advert. This recognition software has been around on a small scale throughout 2015, but this year it’s going big. Apple acquired artificial-intelligence technology Emotient in January 2016, but neither Emotient nor Apple wanted to comment on the transaction. Media agency, MediaCom have similarly engaged in a global partnership with RealEyes later the same month. MediaCom will use the emotion analysing technology to track the effectiveness of their clients’ adverts (including Coca Cola and P&G) before they are launched. “This technology enables us to predict how well assets will do. It enables us to stop campaigns and gives us the knowledge to know if a given asset is even good enough to air.” ­ – Mediacom’s Head of EMEA, Palle Diederichsen. People’s facial reactions are recorded through their webcams with their consent. 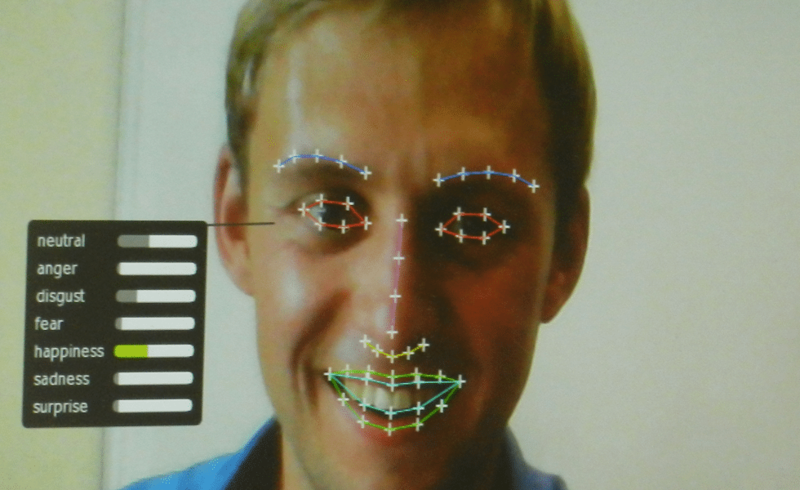 The recordings are then analysed by extracting data from 49 key facial points. There are 6 main emotions which are measured. These can be combined to measure engagement and also the relative positivity or negativity towards the stimulus material. The opportunities that this technology brings are endless and not just for advertising. Once it becomes more widely available, think of the possible applications for the gaming sector. For instance; game development, customer retention, email optimisation, tracking customer emotions through wins and losses and so much more. Technology continues to excite and offer gaming and marketing so many new opportunities. Think Management will report later on similar evolutions within virtual reality products for social gaming and eGaming.